This listing is for focal stones available for purchase that will fit the "The Switcheroo" interchangeable bracelet. By one or buy several....switch up to match several outfits. Each stone is a one of a kind and priced according to it's beauty and rarity. So, if you see one you want, don't wait too long or it might be gone. Just search Switcheroo in my shop for stones that will fit. Shipping for set stones are free if purchased at the same time as the basic bracelet. 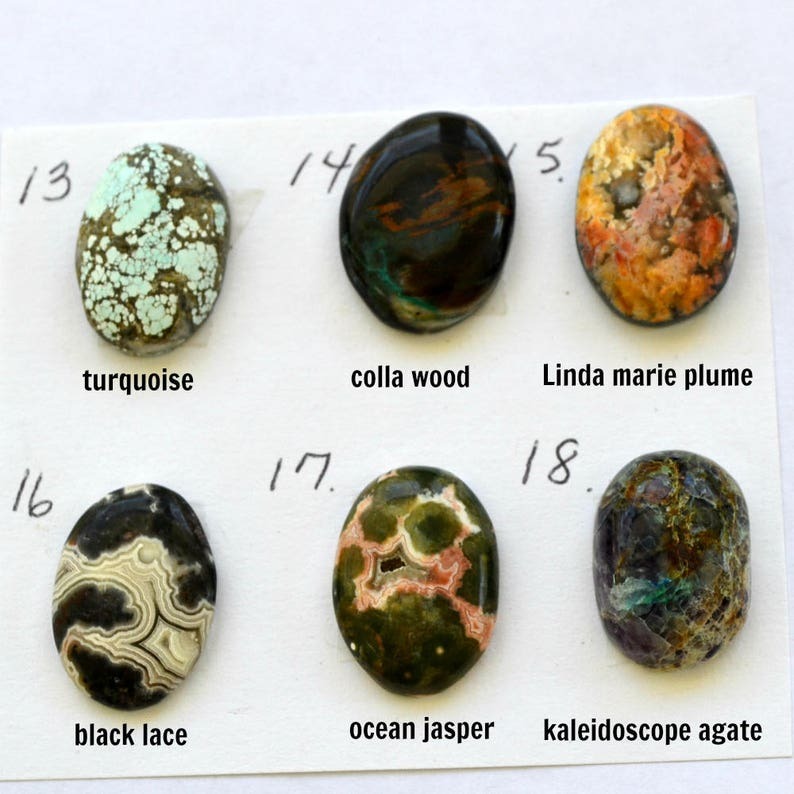 HAVE A FAVORITE JASPER or AGATE?? Contact me to see if I have what you want in a yet uncut stone. Be on the lookout for more choices of stones and sterling focals. Sterling silver interchangeable bracelet. "Switcheroo". Custom stones and sizes available. I love my switcheroo bracelet! I have 3 pieces to wear now. What a great idea to make a bracelet you can switch stones in. Perfect fit, this agate lacy stone is perfectly lovely. I wear a lot of white in the summer and this is just the ticket. Thanks Terri!!! Really a pretty stone with green sparkles. Just what I wanted!